The world is getting warmer – but how will this change our weather? And how might a changing climate disrupt our lives? 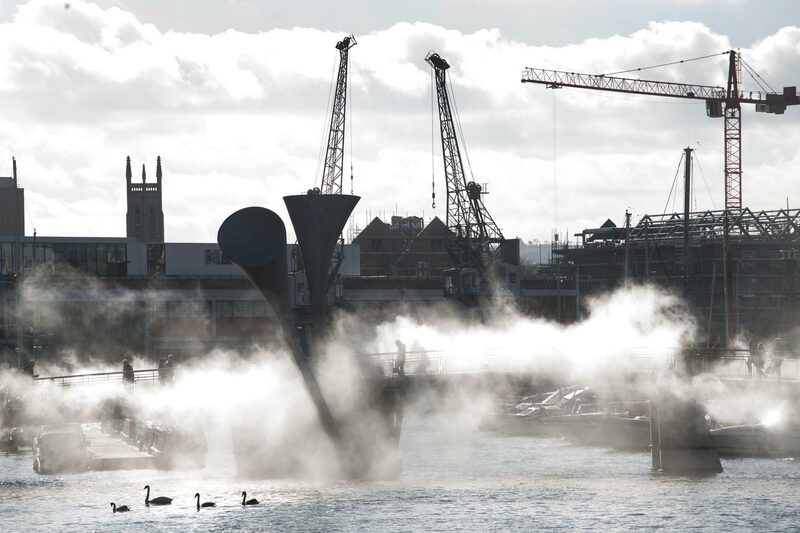 To celebrate Bristol’s status as European Green Capital, we have invited a conjurer of unusual weather, artist Fujiko Nakaya to the city. Over 40 years, Nakaya has used fog as a sculptural medium. Collaborating with the elements, Fujiko’s clouds are created by water pumped at high pressure through many micro-fine nozzles. A special guest in Bristol, Nakaya’s long career has seen partnerships with a host of renowned artists and architects including Robert Rauschenberg, Trisha Brown, Bill Viola and Diller Scofidio & Renfro. Pause your life for a moment, and take a small step into the unknown. Listen to Fujiko Nakaya, and curator Anne-Marie Duguet, talk about Fog Bridge and her pioneering career at Watershed on Friday 13th at 1pm. The talk is unticketed and spaces are free, for full details see the Watershed. Tate Modern will also be hosting an Artist Talk with Fujiko Nakaya (Tuesday 17 February 2015, 6.30 – 8pm), discussing her influential explorations of nature and technology throughout her forty year career. For full details and to book, visit the Tate. Supported by Watershed, the Japan Foundation, the Great Britain Sasakawa Foundation, and the Daiwa Anglo-Japanese Foundation. Subject to licensing.